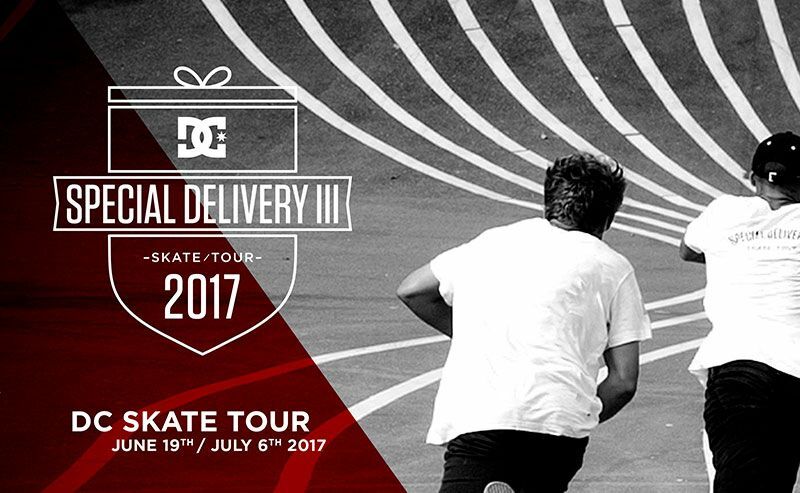 For the third consecutive year, we’re stoked to announce DC’s SPECIAL DELIVERY TOUR 3 is back for 2017, touring six top cities this summer. 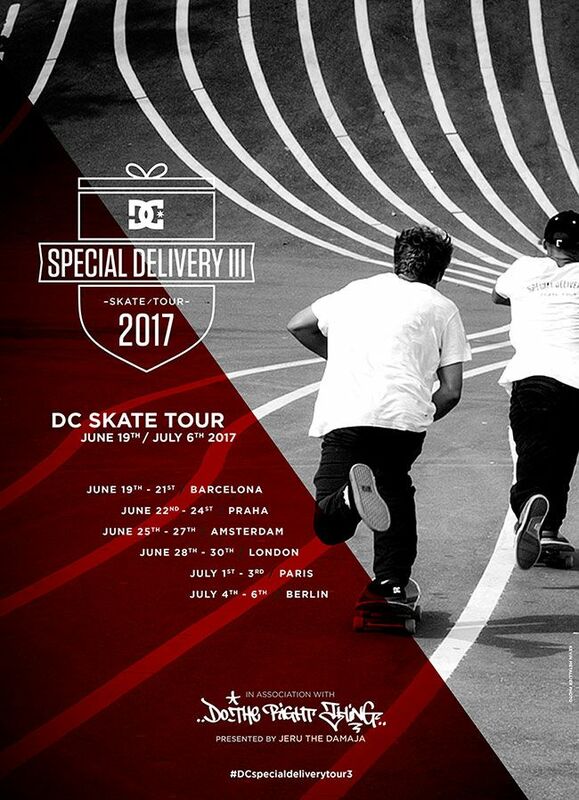 From the 19th June to 6th July, DC’s skate tour will be stopping off in Barcelona, Prague,Amsterdam, London, Paris and Berlin to check out Europe’s top skate spots, meet the locals and put on some awesome activations at core skate stores. 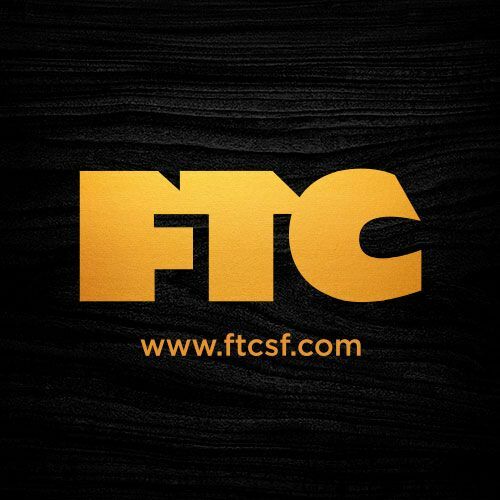 Starting in Spain, this year DC ambassadors including Thaynan Costa, Madars Apse, Josef Scott,Tiago Lemos, Jaakko Ojanen, Anto Lopez and Leo Valls will be joining up with national skaters for open rider sessions, skate jam’s, wear tests and chances for locals to win the latest DC shoes and free tickets for Jeru’s concerts . 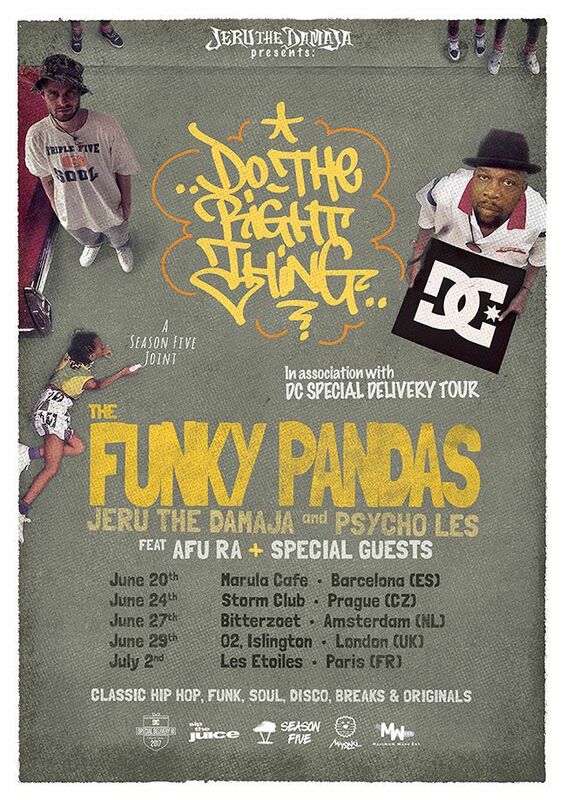 This year, DC Shoes will be collaborating on the tour with the legendary Jeru The Damaja for a series of one off « DO THE RIGHT THING » concerts, starring The Funky Pandas (Jeru & Psycho Les ),featuring Afu Ra and Guests.